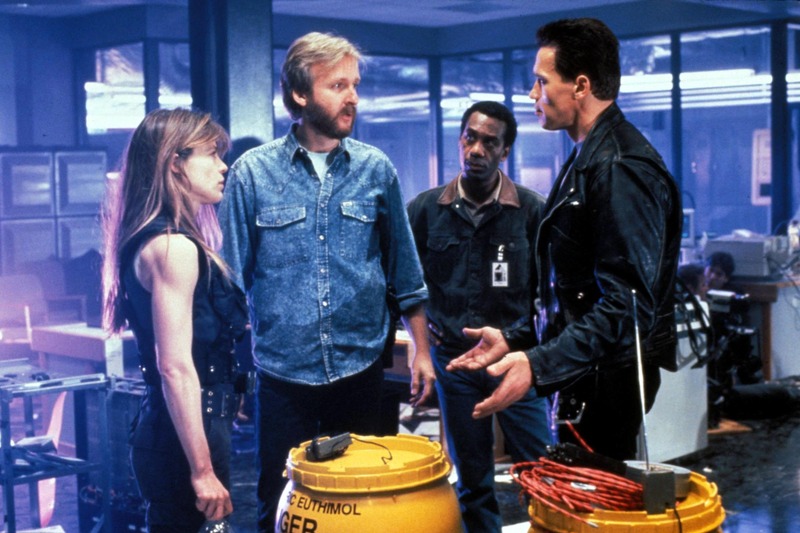 New ‘Terminator’ Movie Will Ignore ‘Terminator: Genisys’; Linda Hamilton Returning! It looks like the legendary Terminator franchise has found one last breath. Just a few days ago it was announced that the original Sarah Connor herself, Linda Hamilton, would be making a triumphed return to the legendary franchise in a future installment, one that will not only be directed by Deadpool helmer Tim Miller, but Miller would be developing the film alongside the creator, James Cameron. This sounds very Star Wars esque, I must say. Cameron’s comments suggest that this film will be somewhat of a baton pass, just as The Force Awakens was for characters like Luke, Leia and Han to Rey, Kylo Ren and others. With Cameron not having the rights in his name for the last so many years, it seems the director got a little bit of inspiration from the most recent franchise revival. But rather than pick up the story in a whole new way like J.J. Abrams did, it seems Cameron has decided to retcon the three previous Terminator installments. Schwarzenegger recently spoke at a fan event and said that the new movie(s) will be “totally ignoring Genisys,“ continuing with “[James] Cameron was not involved in the others, so he does not acknowledge the others.” It’s not 100% clear, but if we’re reading into it correctly, it sounds like we can forget everything that happened after Judgement Day, meaning Terminator 3: Rise of the Machines, Terminator: Salvation and Genisys don’t exist. It doesn’t really come to any surprise that Cameron would be making this move, especially since he hasn’t been truly involved in the franchise since the 80s and because fans have been patiently waiting for a proper sequel to Terminator 2. Because I wasn’t alive back in the day when the Terminator franchise was dominating, I’ve never really ever been all that excited about these movies. I’ve seen the originals and absolutely love them, they are one-of-a-kind. But sadly none of the present day installments have been all that interesting. I’ll admit that I was quite interested in Genisys at one point in time, but once I heard about that whole John Connor bs, I lost any kind of excitement I had. With this news, It gives me a glimmer of hope to see what not just Cameron has in store, but what Tim Miller can do as a director. Have you seen Deadpool? That guy is capable of anything. What do you think of this big news? First of all, are you happy to hear the real Sarah Connor is returning? How about the news of a trilogy? Or that it’s a sequel to Terminator 2? Sound off in the comments!